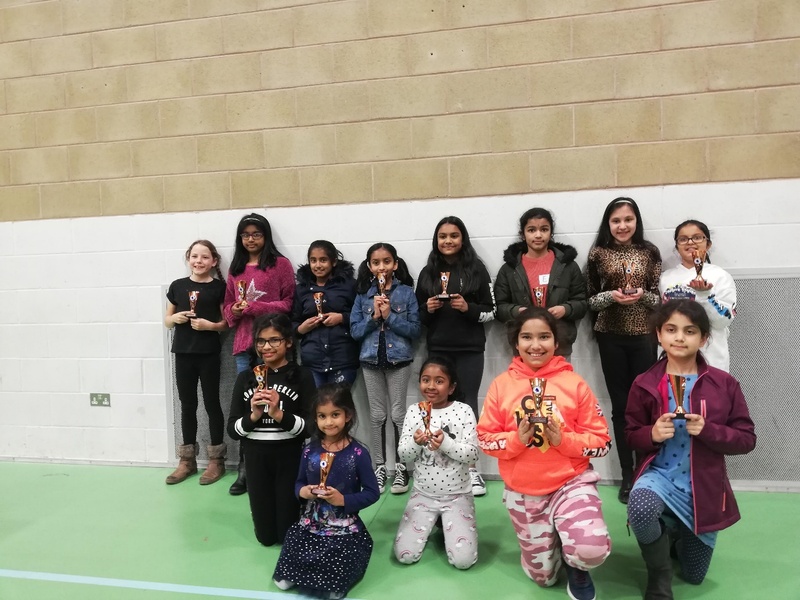 Berkshire U11 girls travelled to Solihull on Saturday 23rd March to play in the finals of U11 girls county championship tournament competing against 15 other counties across the country. It was a 12-board jamboree tournament, where each player of the team plays against randomly picked 3 players from 15 counties, and the total points after 3 rounds of matches decide the winners of tournament. Having won third position last year at the same event, the confidence of our girls was high, but you never know in these jamboree tournaments! After the first round Berkshire had 7½ points ( 7 wins and 1 draw), and positioned 5th. We could see girls and parents cheering for the team to do well in the next 2 rounds. Our girls indeed did have a good second round where they scored 8½ points to have overall 16 points, standing joint first with Essex county, Sussex following us closely with 15½ points. Third round had all the drama of T20 cricket match! Who would think chess team matches can bring this kind of excitement!! 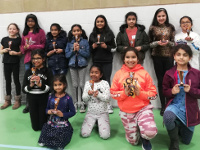 With 11 girls having finished the game we were joint third with Barnet and Hertfordshire with 23 points, holding our breath as our last playing girl Radha managed to secure a safe draw to inch us up by half a point to cement our third position in the tournament. A great success – 2nd year in a row. Well done girls. Special thanks to Ashwina Haria-Skuse who has played for Berkshire last 2 years in U11 girls on our top board, a key member in our success. Thanks to Aanya Bilgi, Akshita Saxena and Shree Rao who have been part of U11 girls team for number of years, will move on to U14/18 girls team as they start secondary school next year.